Designed and manufactured in Spain, the Avanti series of boutique commercial lifts are guaranteed to fulfill all of your elevator requirements. One aspect of many buildings which is overlooked is the commercial elevator. When purchased as a feature, it’s most likely to be used multiple times a day, and it stands to reason that quality products should be chosen for this particular use. Our valued customer came into our Sydney lift showroom and expressed his need for shorter lead times and a faster boutique commercial lift for a reasonable price which suited his budget. After listening to his needs, Easy Living Home Elevators offered the AVANTI 1010 boutique commercial lift, part of what is known as the Fast 4 range of lifts. Covering all the bases, these Spanish designed, engineered and manufactured boutique commercial lifts to the highest quality standards, incorporate state of the art technology with exceptional reliability and safety features, in both residential and commercial applications. Instead of traditional steel wire ropes, the Avanti range use traction ropes. Their lighter weight, longer lifespan and greater flexibility make it possible to put the elevator into smaller, more compact spaces for use with an eco-friendly motor. The AVANTI 1010 lift has the power to transport loads of up to 630 kilograms or 8 passengers and a reduced pit of 850mm, this boutique commercial lift will serve up to 6 levels, with a travel speed of 1m/sec. There are also a variety of finishes and sizes available to truly make your elevator yours. With a focus on clean modern lines, the AVANTI 1010 commercial elevator was fitted out with an emphasis brushed stainless steel, from the doors, walls, corner profile’s to the ceiling. Finished off with black rubber dimpled flooring, an extremely popular choice for commercial, high traffic environments for it’s for excellent durability. 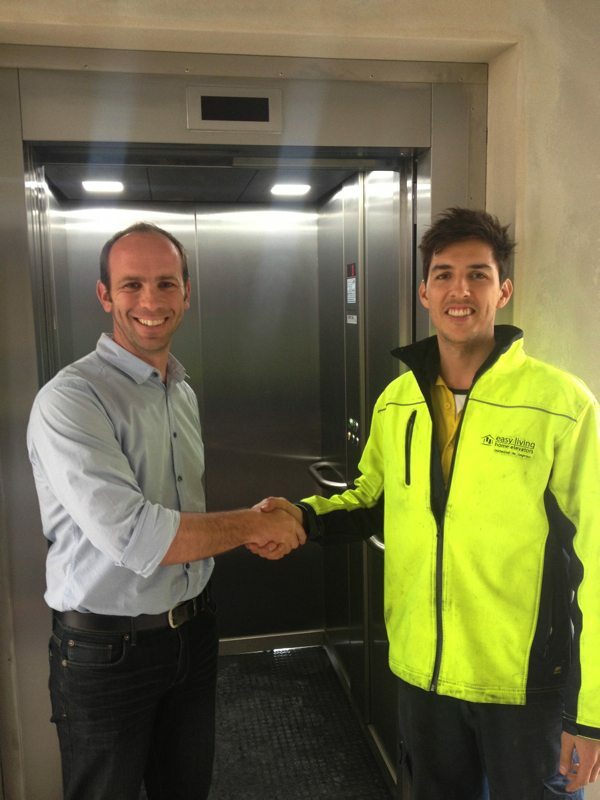 The Avanti elevator was the perfect fit for our client and his building. To discover more visit our multi-million dollar showrooms across the country. So come down to Easy Living Home Elevators and begin your dream of owning a boutique commercial lift in your home or business!